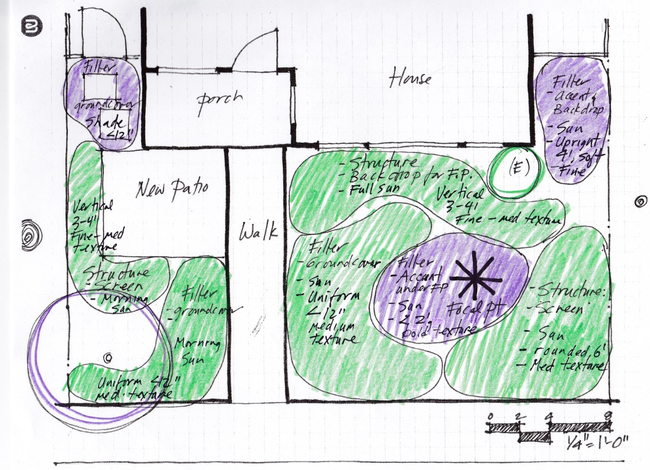 Planting Design Basics, Part IV of IV; Is my yard ready to plant? By Laura Lukes and Eve Werner, UC Butte County Master Gardeners, July 28, 2017. Our conclusion to this series on Garden Design Basics leads you through the final steps needed to create your new landscape. Eager as you may be to get your plants into the ground, this ultimate preparation phase is as important as all of the others. To save time and money, we recommend that the last thing you do is go shopping for plants! Infrastructure: Before digging any holes for plants, complete the installation of your infrastructure, including all hardscape, irrigation lines, and drainage facilities. Build berms, install focal point(s), pour concrete, place landscape rocks; all of this comes before the living elements are added. Planting beds can be outlined with rocks at the same time as planting, if the rocks are relatively small and placing them will not disturb the plants. Irrigation: Before planting is also the ideal time to test your newly installed or revamped irrigation system: make sure that flow and volume are correct, and that emitters for hydrozones (if included in your design) are properly sized. Resources for learning more about drip irrigation include the Butte County Master Gardener website. Soil Preparation: Critical to plant survival and success is the health of your soil. We touched on soil structure and type briefly in Part One of this series. (The ideal soil ratio is 25% air, 25% water, 5% organic matter, and 45% mineral matter.) Now it is time to consider soil tilth, which means the physical condition of the soil, especially in relation to its suitability for growing plants. In its ideal healthiest state, soil is alive with millions of organisms per teaspoon. Within that teaspoon live 100 million to 1 billion bacteria, several yards of fungal filaments, several thousand protozoa, and from ten to several hundred nematodes. Our job as gardeners is to ensure that the inhabitants of the soil food web are fed and cared for. Their needs are the same as those of any living being: air, food, water, and protection from abuse. AIR: Compaction is the bane of healthy soil. It reduces space for air and water movement and creates anaerobic conditions (which in turn attract and feed detrimental bacteria, fungi, and protozoa). Try to protect your soil from heavy foot traffic and heavy equipment during hardscape installation. Lay down wide boards to distribute the weight more evenly in areas that experience a lot of foot and wheelbarrow traffic. Keep heavy equipment use to a minimal, restricted area if possible. FOOD: Organic compost and mulch provide nutrients to soil. Nutrients from organic mulches are leached into the soil through rains and irrigation, while organic composts are manually incorporated into the soil itself. Composted organic materials improve air and water movement, improve soil structure, reduce surface crusting and soil erosion, and increase water absorption and infiltration. Organic mulches reduce soil erosion, reduce annual weeds, and reduce evaporation and runoff. Good examples of organic mulches include leaves and the various sizes of wood chips. WATER: The texture of soil directly affects its ability to hold or shed water. Soils with a high proportion of clay drain poorly, creating waterlogged environments low in oxygen. This is hard on the roots of most plants and on the organisms which thrive in healthy soil. Soils that are too sandy allow water to leach nutrients below the root zone and have a low water holding capacity, allowing moisture stress to occur more quickly. Amending either soil type with compost can help: adding compost to clay soil increases aeration and water infiltration; adding compost to sandy soil increases its water and nutrient holding capacity. PROTECTION FROM ABUSE: Compaction is not the only form of soil misuse. Erosion is a culprit as well: overwatering bare soil can cause runoff and reduce the nutrients in the soil. Applying mulches and/or incorporating groundcover plants can protect soil from eroding on a slope. Create mini-berms around plants on slopes, and add terraces to steep yards during the hardscape phase of garden preparation. Neglect is another form of abuse! Check plants on a regular basis to catch pest infestations or signs of stress. Irrigation systems need regular check-ups too, as small rodents and problems with water pressure can wreak havoc on water lines and emitters. Weed Control: After hardscape installation and before planting, consider sheet mulching, an effective and long-lasting method to control weeds, particularly in a new landscape. Details are available here: http://ucanr.edu/sites/bcmg/Blog/ (enter sheet mulching as your search term). In sheet mulching, layers of newspaper and/or cardboard are covered with a thick layer of shredded or chipped bark, suffocating even the most persistent weeds. Plant holes are then dug into the covered area per your garden design. In general, applying mulch at a recommended depth of four to six inches will help control weeds. Hand pulling weeds, early and often before they seed, will save you time and grief down the road. Now you can go shopping. Happy Gardening! By Laura Lukes and Eve Werner, UC Master Gardener of Butte County, June 30, 2017. Site map and analysis completed, per Part One? Check! Garden style selected, per Part Two? Check! Welcome to Part Three, where the focus is: What plant “jobs” need to be filled in my garden? Plants jobs can be functional, aesthetic, or both. Functional jobs affect the use of the garden. The metaphor for the functional uses of plants is architectural: Trees act as the “roof” of the garden, providing shade and large-scale screens, framing views, creating microclimates, and providing food for humans and wildlife alike. Shrubs are the garden's “walls” that define spaces, add lower level privacy screening and structural elements, and provide a background for focal points. Groundcovers create the garden “floor” that stabilizes the soil against erosion, reduces soil temperatures, and slows evaporation rates. Aesthetic jobs affect the sensory aspects of a garden. These are primarily visual influences but also include scent, sound, and touch. Pleasing plant designs take texture, form, and color into consideration, incorporating these attributes through the principles of rhythm, line, balance, contrast, and unity. A plant's texture describes the size of its foliage and flowers and ranges from coarse to fine. 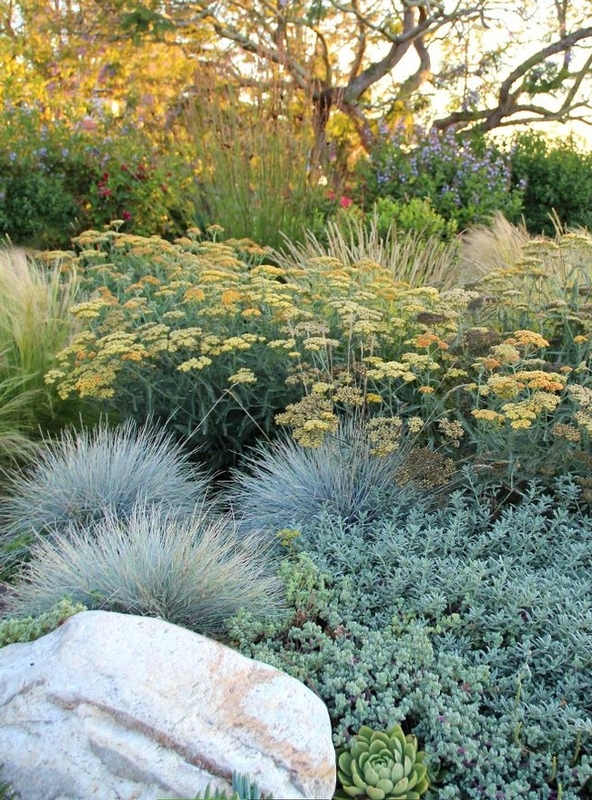 Drifts of fine-textured plants tend to make the spaces in which they are planted seem larger. Bold-textured plants add flair to a garden. When referring to an entire plant, form describes its overall shape and stature. Plants with bold horizontal or vertical lines or strong visible branching are highly structural. They visually anchor a garden and add drama. Plants with rounded or billowy shapes contrast with and soften structural plants. Form also describes the varied shapes of individual flowers (for example: spires, balls, umbels, plumes or daisy-like configurations). Drifts of contrasting flower forms add interest to a garden. Infinite color palettes can be created with foliage and flower color. Foliage offers long term color, while flowers provide their hues in shorter bursts. Plant color palettes can be generally categorized as “cool” or “warm.” Cool palettes mingle purples, blues, grays, pinks with blue undertones, and pure- or greenish-yellows. Reds, bronzes, and oranges create a warm palette. Pinks with red undertones and orangey yellows go in a warm palette, too. Color palettes can also be monochromatic, combining different plants that have foliage, flowers or bark in the same color, such as red, yellow, blue/gray, or even white. Planting red, yellow, and blue together produces a garden in “primary” colors. And don't forget that green, in all its various shades, is a color. Repetition of any or all of the three attributes (texture, form, and color) creates rhythm in a garden. Gentle contrasts between texture and form and a monochromatic color palette make for subtle rhythm. For pizazz, bump up the contrast between form and texture or use vivid colors. Line is used to emphasize garden style and create directional cues. Plantings and hardscape can be used to create lines that lead the eye through a garden. For example, the line of a path or converging lines of plantings draw the eye to a focal point while curving paths, with destinations that are hidden by plants, invite the curious to explore a garden. In design, balance is the principle of distributing visual weight equally. Plant mass and color both affect balance. In a symmetrically balanced garden, opposing areas are mirror images of each other with similar plantings used on either side. In an asymmetrically balanced garden, unlike elements can balance each other. 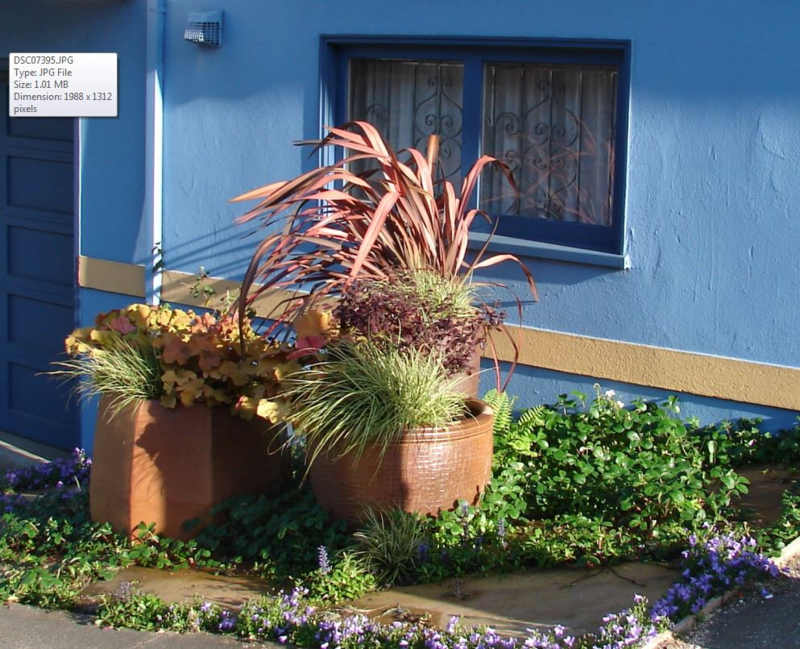 For example, a single strongly structural plant can be balanced by a boldly colored mass of filler plants. Contrast and unity are partners in well-designed gardens. Interesting gardens require contrast while unity ties it all together. To achieve unified contrast, follow the 2:1 guideline: Select any two of the plant attributes (texture, form and color) to create either unity or contrast. The third attribute will oppose the other two. For instance, contrast texture and form while using color to unify the overall scheme. Such a garden could feature bold and finely textured plants along with highly structural plants and billowy filler plants, all tied together by a monochromatic color palette. Applying the principles of rhythm, line, and balance will further unify the design. Now, it's back to the drawing board: time to develop your preliminary planting plan! To stay on track, refer to your site analysis (per Part One), and stick to your style preferences (per Part Two). Start loose and tighten up the plan as you progress. For this phase, think about plant functions rather than individual plants. Start by ‘bubbling in' the location of structural plant masses, and then add filler plant masses. Within each bubble, note the plant function (shade tree, screen plant, accent), the cultural conditions, and whether the plant(s) are to be evergreen or deciduous. Next, think about which plant attributes you want to use to provide contrast and which ones will provide unity. Assign texture and form attributes to each of the bubbles, keeping in mind the 2:1 guideline. Double check to see that you have arranged the plant attributes to provide rhythm, line, and balance in a way that reinforces your garden style. Your completed preliminary planting plan will show separate bubbles labeled with plant form, function, cultural conditions, foliage type (evergreen or deciduous) and plant attributes. A special bonus section of this series will focus on developing a plant list based on your preliminary planting plan. Then, stay tuned for our final and fourth guiding question: is my yard ready to plant? Happy Gardening! This series of four Real Dirt articles summarizes the presentation Butte County Master Gardener Eve Werner created for the Butte County Master Gardeners Spring 2017 Workshop Series. 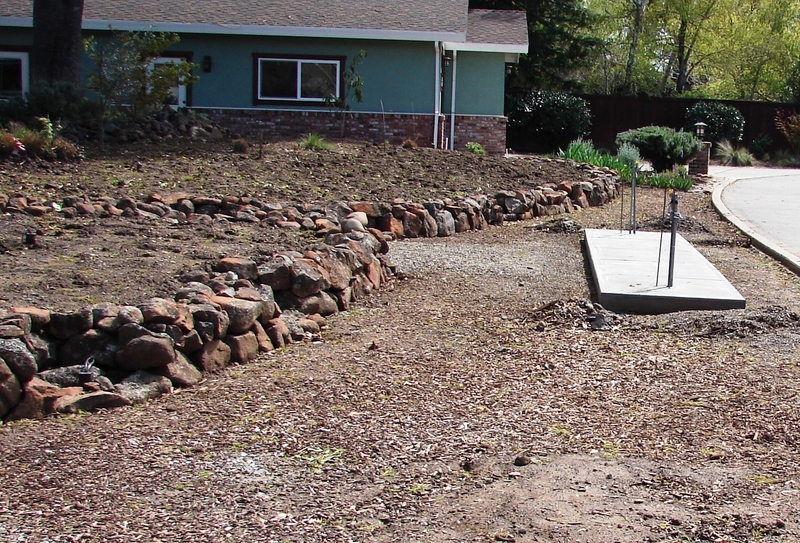 For more information about the Butte County Master Gardener Program, please visit http://ucanr.edu/sites/bcmg/. By Laura Lukes and Eve Werner, UC Master Gardener of Butte County, June 16, 2017. In Part One, What Can I Give My Plants, you were encouraged to analyze your planting site, and to determine the existing conditions in your garden space. With site map in hand, the fun begins as you explore our second guiding question,What garden style do I want? The sky is the limit, which is why you'll want to do some serious research: on the internet, in neighborhoods, and at the Master Gardener Demonstration Garden at Patrick Ranch. Take photographs of what you love, and also record what you don't like. Create an on-line idea book through available apps (e.g. Houzz, Pinterest), keeping in mind the opportunities and restrictions you've discovered in your site analysis. Since there are endless garden styles to choose from, consider simplifying your quest by using the style of your home as an organizing principle. 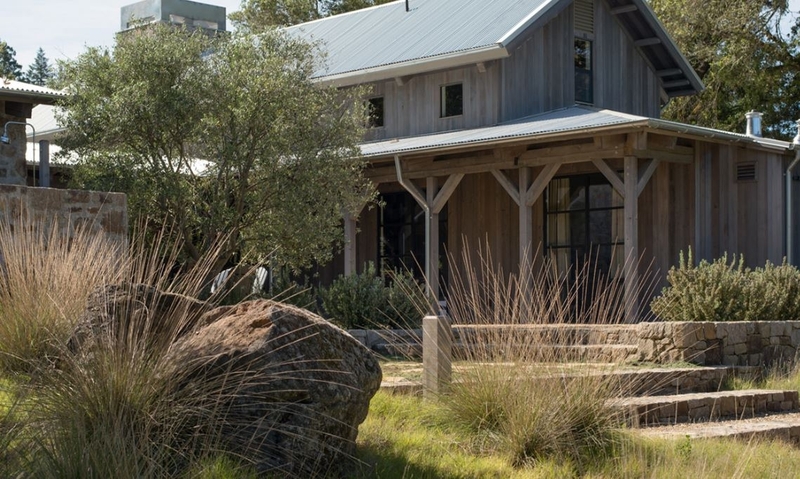 Planting designs that complement a home's architecture create a cohesive feeling. For example, the clean lines of mid-century modern architecture feel at home with simple plantings emphasizing foliage over flowers. Pairing a cute bungalow with an informal or fanciful garden harmonizes with the home's charm and stature. You can also unify your house and garden by selecting plants that repeat or contrast with the home's distinctive color scheme. Drought Tolerant: Very timely, and in keeping with the Master Gardeners' recommendation to garden within our water means, is the garden that focuses on plants that require little to no irrigation. Such gardens can be located anywhere on the design continuum, all the way from formal to informal, but they usually lean toward a looser, naturalistic look. Chico neighborhoods contain many examples of great drought-tolerant landscapes, by homeowners who are converting thirsty expanses of lawn to climate-appropriate plants. 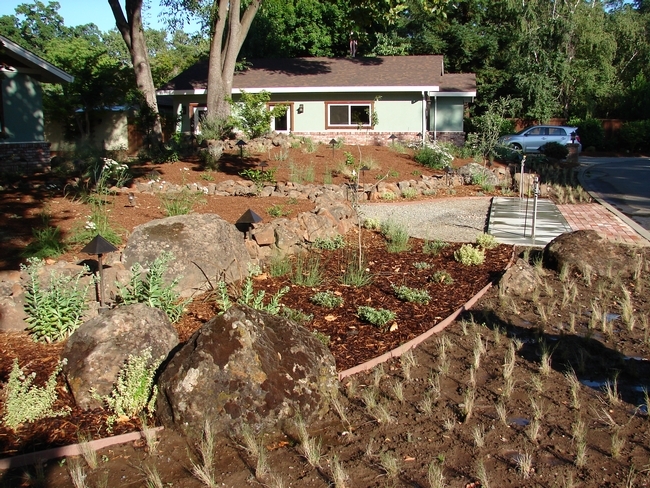 Many of the plants in a Chico drought tolerant garden will be native to areas with a “Mediterranean” climate like ours that has cool, wet winters and dry, hot summers. Pollinator: Your garden design could include only plants that nurture our native bees, butterflies, and birds. Altacal, the local chapter of the Audobon society, offers a Neighborhood Habitat certification for this type of garden. Plantings in a pollinator garden are layered in height (low plants, medium shrubs, and taller trees) to offer varied habitat, and bloom times should be staggered to provide year-round nectar and pollen sources. Pollinator gardens tend to be whimsical, billowy, and informal in style. Cottage: Also attractive to pollinators is the exuberant, free-flowing, and busy cottage garden. Here many varieties of plants rub shoulders in a tangle of flowers and vines, while paths are winding and overgrown, creating a truly informal style. Formal: The antithesis of the cottage garden is one that contains shrubs coaxed into symmetrical geometric designs, with defined paths echoing those arcs and angles. Usually restricted to leafy, dense shrubs and plots of lawn, the formal garden is high-maintenance and low on food for pollinators. The gardens of Versailles near Paris set the standard for formality in an intentional display of the power of man over nature and King over commoners. Jane Austen's characters later strolled amidst the shrubbery of formal English gardens. Naturalistic: This garden style takes its cues from the undeveloped landscape. Plants are arranged to evoke a natural flow, as opposed to revealing decisions made by the gardener. When materials and plants native to the local landscape are used, this garden can create a strong 'sense of place'. Artsy: Perhaps you want your garden to reflect your creative nature. For this type of garden, think outside the box for construction materials and methods. Broken concrete pieces, old pottery shards, and rusted drainage pipes can make appearances in paving and planting areas. Arrange your garden with focal points for art and other surprises. 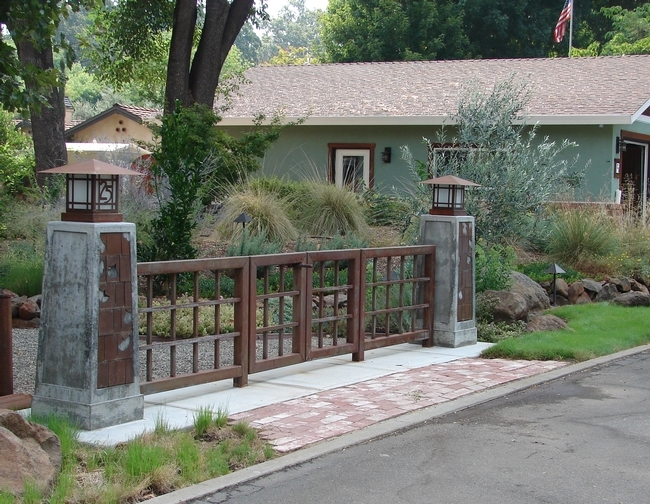 Modern: Clean and spare with asymmetrical geometry, the modern garden often incorporates industrial elements, such as corrugated steel repurposed into garden beds or used for fencing. Plants can soften the geometry or repeat it but this garden style generally favors foliage over flowers. 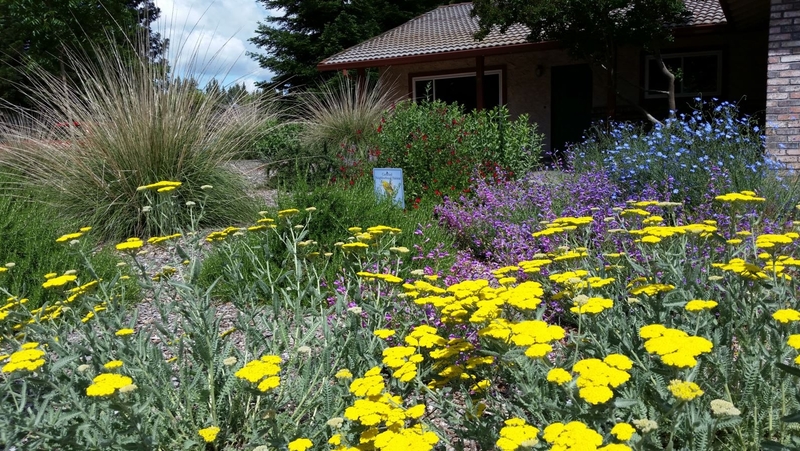 Please visit the Master Gardener Demonstration Garden at Patrick Ranch to see thriving examples of native, Mediterranean, and pollinator plants that can be used in these various garden styles, and others as well. Start your research! 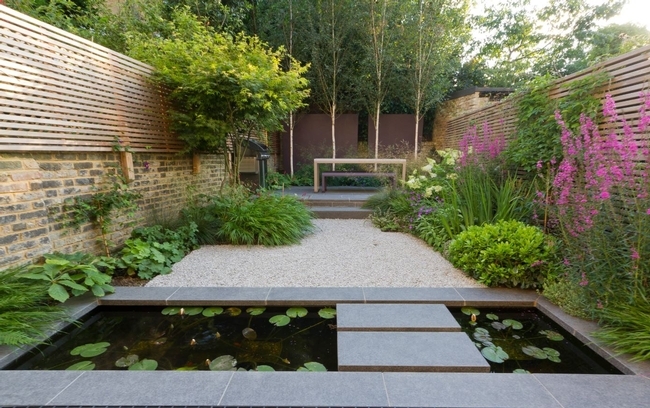 Look at gardens with new eyes to identify design and style elements. Keep a log of what you want to incorporate into your own garden, and what you wish to avoid. In the coming weeks, this column will explore question three: What Plant “Jobs” Need To Be Filled In My Yard? and question four: Is My Yard Ready To Plant? Happy Gardening!